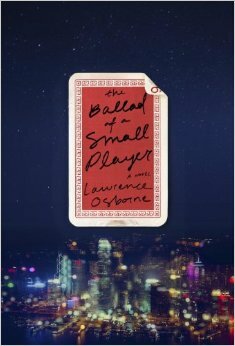 The Ballad of a Small Player by Lawrence Osborne is my Book of the Year. A compelling read about a psychotic gambler set in the high stakes casinos of Macao with ferry boat trips to Hong Kong. It comes with a supernatural twist. Sentence by sentence, Lawrence Osborne is a writer readers will want to experience at a temperate pace. 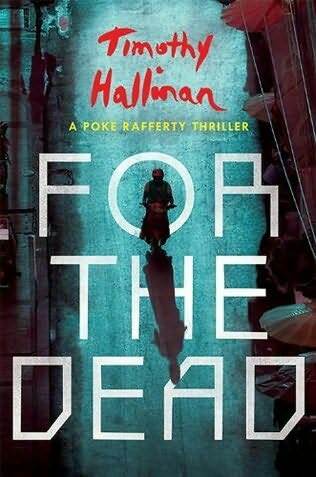 A lot of people are saying For The Dead by Timothy Hallinan is the best in the Poke Rafferty series. If his other books were not so good I might agree. The Queen of Patpong is still my runaway winner with The Fear Artist next and Breathing Water also a favorite. But for the development of a family that matters to each other you can’t get any better than Poke, Rose and Miaow in this typical high quality Hallinan thriller. 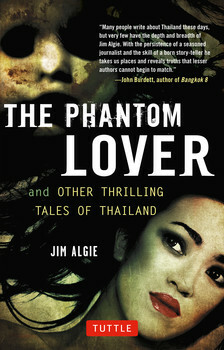 The Phantom Lover and Other Thrilling Tales of Thailand by Jim Algie easily makes my list. Algie is a pro and it shows in his prose. A creative mix of nine stories all brought together in an ambitious finale about the emotional and physical devastation of the Tsunami of 2004. What can you say about Colin Cotterill? 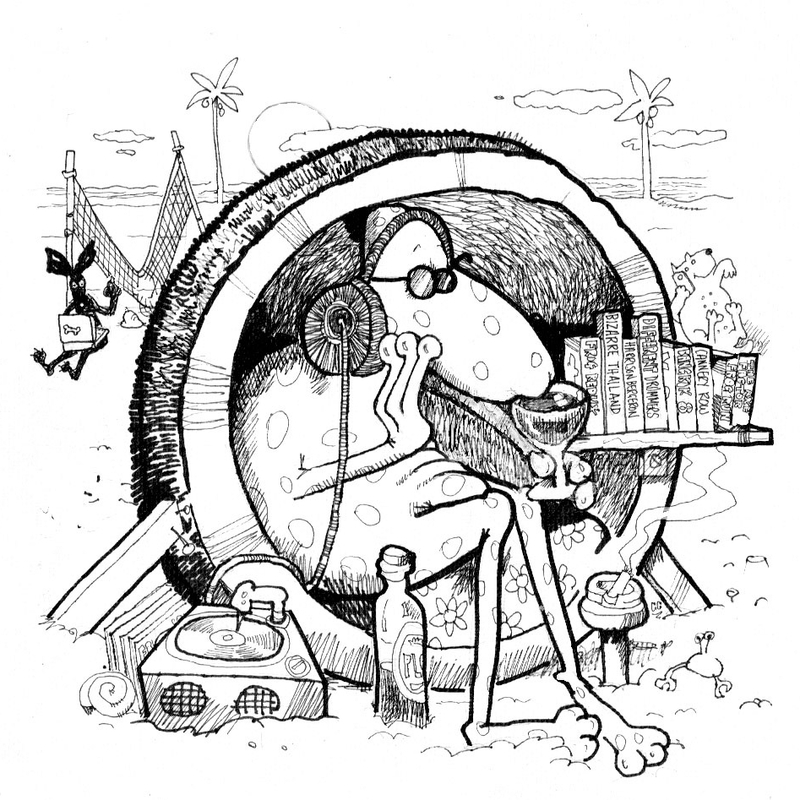 He lives down in the south of Thailand with a pack of dogs named GoGo and Beer and Sticky Rice, has no Facebook or Twitter accounts and in his spare time draws great cartoons of frogs in coconut shells, Bangkok and CheckInn99. He also writes a series of novels about a coroner in Laos. The Jim Juree series and The Axe Factor is a fun romp through the north and south of Thailand with one of the wackiest families since the Addams family lived in that mansion on the hill. Once you’ve had fun with Cotterill get serious with Tom Vater and The Man with the Golden Mind. 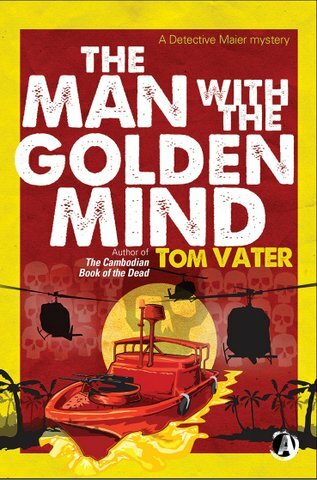 Vater brings his experience as a travel writer and documentary film maker of The Most Secret Place on Earth about the clandestine CIA activities during the Viet Nam war era and the busy airport in Laos conducting the business of bombing. A complex spy thriller with an intriguing protagonist, which takes place from the mid 1970s to the early 21st century. There is always much to be learned while being entertained in the Vater narrative. Last but not least is Dean Barrett’s Pop Darrell’s Last Case. This book launches December 16th, 2014 at CheckInn99 at 6:30 p.m. I was given an advance readers copy and finished reading it this week. You can find my recent review here. 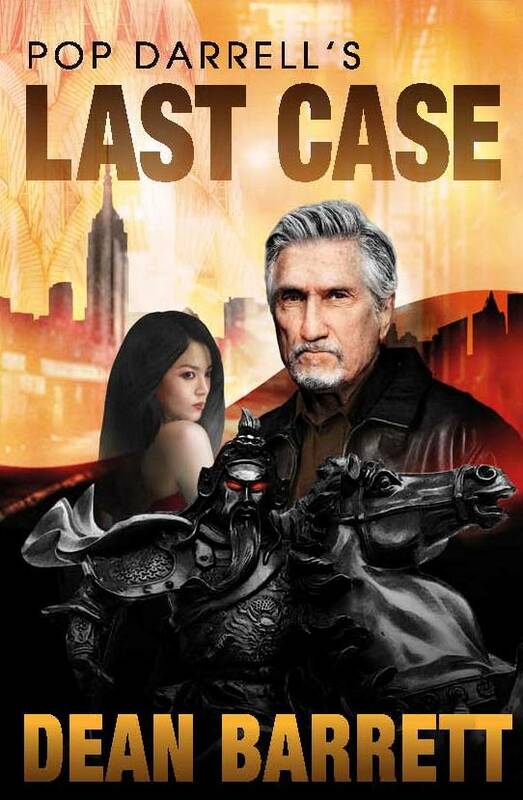 Dean blends his experience of China and New York City perfectly and his other varied experiences come through as well in a very entertaining fantasy/Chinese thriller. So that’s my very incomplete top 6 picks for 2014. Next week. Non fiction picks for 2014. Thanks, Kev. Interesting picks. I am almost down to the tsunami story in Phantom Lover. May give me some ideas for my own tsunami novel, which is creeping into existence bit by bit. It’s such a huge topic, and huge thing for me to do. This novel will be intended as my life statement on life . . . meaning it is going to be full of an awful lot of stuff. What Jim Algie does is quite interesting, Peter. The characters in the first 8 stories are brought forth into the “finale” which serves as a novella at 1/3 the page count of the entire book. I think you would very much enjoy Algie’s take on Thailand as he does a great job of getting into the Thai characters not just the expat ones. Till soon or Sunday, Kevin C.